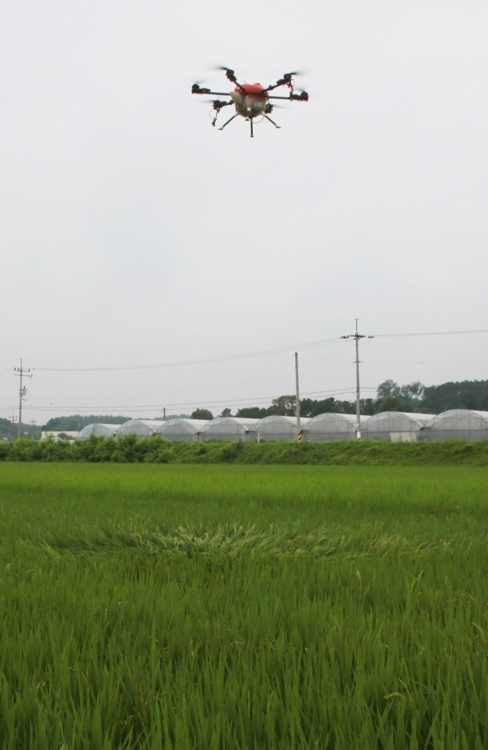 North Chungcheong Province, Aug. 9 (Korea Bizwire) — A trial performance of an agricultural drone took place yesterday in in North Chungcheong Province’s Okcheon County, with the unmanned aerial vehicle (UAV) spraying pesticides over one hectare of land in 10 minutes and leaving rice farmers impressed. 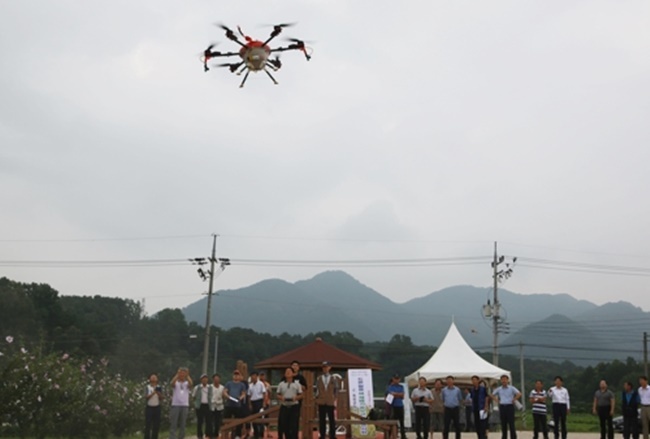 The trial event organized by the Okcheon Agricultural Extension and Technology Center was held with some 50 farmers in attendance, during which a drone zigzagged in the air and sprayed pesticides, receiving a big round of applause from the crowd. 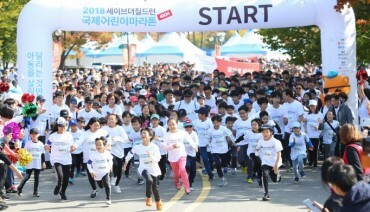 The center had previously provided financial support to five farms to purchase agricultural drones, and Hwang Jin-sang, one of the beneficiaries, controlled the UAV during the event after completing a training course. 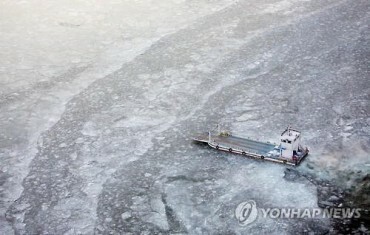 “Drones can travel in narrow passages and hills without restriction of movement, which increases work efficiency. 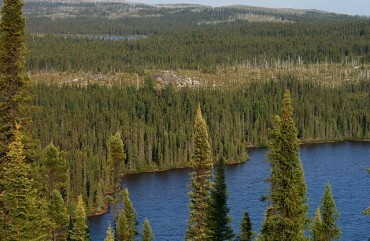 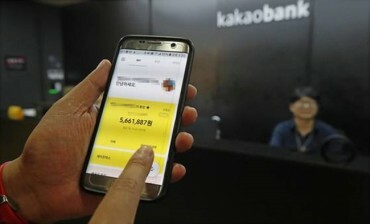 It’s more than enough to solve the lack of labor force issues in the farming industry,” Hwang said. 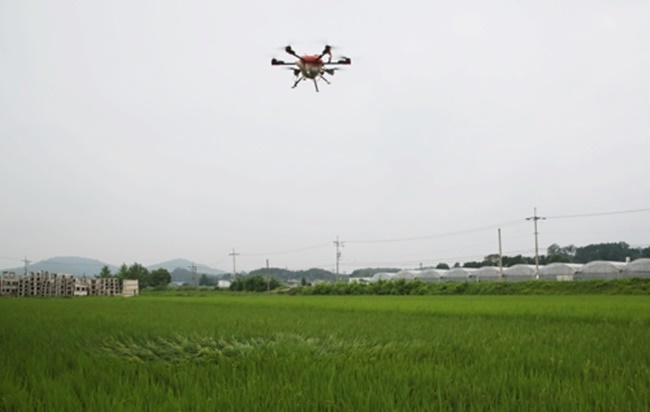 “In the long run, drones will be able to take on the tasks of spreading seeds and fertilizer and we’ll continue to provide support in this field,” added an official from the Okcheon Agricultural Extension and Technology Center.